How should Spirulina be stored? Who shouldn't take too much Spirulina? How much Spirulina should be taken? How should Spirulina be taken? What are Spirulina side effects? Is Spirulina a food? or medicine? Spirulina is 100% natural and a highly nutritious micro salt water plant. It was discovered in South America and Africa in natural alkaline lakes. This spiral shaped algae is a rich food source. 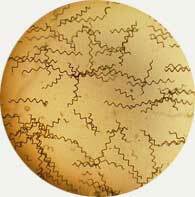 For a long time (centuries) this algae has constituted a significant part of the diet of many communities. Since the 1970's, Spirulina has been well known and widely used as a dietary supplement in some countries. Spirulina contains rich vegetable protein (60~ 63 %, 3~4 times higher than fish or beef ), multi Vitamins (Vitamin B 12 is 3~4 times higher than animal liver), which is particularly lacking in a vegetarian diet. It contains a wide range of minerals (including Iron, Potassium, Magnesium Sodium, Phosphorus, Calcium etc. ), a high volume of Beta- carotene which protects cells (5 time more than carrots, 40 time more than spinach), high volumes of gamma-Linolein acid (which can reduce cholesterol and prevent heart disease). Furthermore, Spirulina contains Phycocyanin which can only be found in Spirulina. In USA, NASA have chosen to use it for astronauts food in space, and even plan to grow and harvest it in space stations in the near future. It is not possible to grow Commercial Spirulina culture in a cold or temperate area. Spirulina needs consistent high temperature which helps it’s growth. Spirulina will not grow anywhere that has constant low temperature (under 25 degrees). Under 20c degrees Spirulina will stop reproducing and die in a short time. Spirulina absorbs sunshine and then creates a reaction in it's cells. When this reaction starts, Spirulina will produce the nutrients in the cell and will convert carbon dioxide into oxygen. Strong sunshine helps Spirulina produce more nutrients. Spirulina grows in alkaline saline water. Because Spirulina easily absorbs nutrients from water, if the water contains pollution or heavy metals, these will be highly concentrated in the Spirulina cell. If this happens, then this kind of Spirulina is no longer suitable for human consumption. With over 100 nutrients, Spirulina is often described as the most complete food source in the world. The American National Aeronautical and Space Agency includes it in their astronauts diet and plans to grow Spirulina in it’s space station. It’s easy to see why. 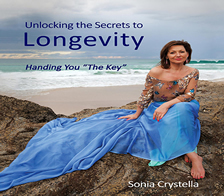 Japan has some good examples of some Japanese seniors who have only relied on Spirulina and water for more than 20 years showing how good is Spirulina for the human body. High temperature, moisture or pollution will reduce the beneficial effects of Spirulina. Buy and keep no more than 6 months worth. After opening the packaging we strongly recommend you use the product within three months. After usage, ensure you reseal the packaging as soon as possible. Keep the product away from any possible heat source. Keep the product away from sun or any exposure to strong light. Children who don’t like or get enough vegetables and or have an imbalanced food intake. Teenagers during their rapid growing period need a sufficient injection of nutrients. Spirulina is ideal for this. Pregnant mums who need extra nutrients. Seniors who have difficulty in having reasonable average 3 meals per day. Sport lovers or athletics who need extra nutrients to keep their energy levels up. Modern busy people who don't have the time to eat good meals. People who have serious allergies to seafood or seaweed. Patients currently experiencing high fever. We suggest 5~10 tablets a day for adults, 3~5 tablets for children under 12 years old. If you have special requirements for extra nutrients, please consult your chemist or your health practitioner. It doesn't matter if you take it once a day or twice a day, so long as you take enough for a day. Recommend dosage for adults is 5 ~ 10 tablets a day, children under 12 should take 3 ~5 tablets a day. Spirulina is a totally natural product and will not normally cause any problems to the body. Even if too much is taken, there will be no harm to the body, but doing this is a waste. Spirulina: a food? or a medicine? As we all know, some of our illnesses are caused by having insufficient nutrients in our body. These illnesses are just the symptoms to show us that we may be lacking in some nutrients. If we replenish these nutrients in time, the symptoms usually disappear. If not, we can lower the function of our immune system causing further problems. In most cases people will go to consult their doctor and may be prescribed some medicine. Spirulina can help you to maintain areasonable levels of nutrients in your body, which will in turn give you less of the chance to get sick. Spirulina contains more than 60% vegetable protein, which is much higher than fish, pork, or beef (which contains about 15 ~20 %).Animal protein is a much bigger molecule than vegetable protein, and is much harder to for our system to digest. Most modern people overindulge in animal protein, by eating fish, beef, pork etc. When too much animal protein is eaten, it is deposited in our body as fat. Too much fat will cause high cholesterol levels and may impact our heart and blood vessels. Vegetable protein is water soluble, and is much smaller than animal protein. If you eat too much vegetable protein, it is simply discharged by your system as waste and not stored as fat. Animal protein is a much bigger molecule than vegetable protein, and is much harder to for our system to digest. Spirulina easily absorbs the nutrients from any possible source. Like putting a dry sponge in water, Spirulina will take in just about everything from the water and store it in their cells. So, taking Spirulina from polluted areas may result in some negative results as the Spirulina will absorb all the heavy metals from the growing environment. Air pollution will bring lead, mercury etc. All commercial Spirulina is grown in open areas,for maximum production yield. Water pollution is another issue. Most Spirulina production sites need plenty of water to compensate for high evaporation. If the water contains any heavy metals which will accumulate in the growing system, then the Spirulina will absorb it. Water pollution is a big issue as even the water pumped from the sea or surface can contain certain amounts of possible pollutants which will eventually accumulate in Spirulina. This is why some other brands suggested that infants or pregnant women should not take Spirulina. 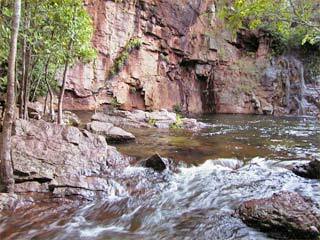 Our company, based in Darwin in the Northern Territory , uses only pure crystal clear mineral water. Having this exceptional growing environment, our Spirulina has the lowest heavy metal content in comparison with any other Spirulina product on the market, with almost no heavy metals at all. For a detailed growing water analysis report please click on the link below. The heavy metal international guide line is no more than 20 ppm, Australian Spirulina is consistently less than 0.5 ppm (Hg, Cd, Pb, As). Best Quality Spirulina in the world. products for human consumption" on 2013. This study reveals the concentrations of six typical heavy metals/minerals ( Nickel , Zinc , Mercury , Platinum , Magnesium , and Manganese ) in 25 Spirulina products commercialized worldwide. 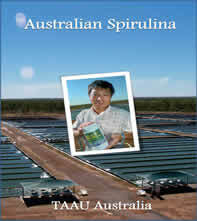 The result shows that Australian Spirulina (TAAU Australia) beats the rest in terms of purity. click link above for original article. Australian Spirulina will always be proud of our quality, and this is another solid piece of evidence showing that our Spirulina is of the best quality in the world.